WOW! I know the title of one of the books. I like forward to finding out the identity of the other one! Recently, there’s been much comment about the Constitution. Well, not only is there a U.S. Constitution that allegedly covers the nation, but every state has a constitution as well. Article VI establishes what’s called the Supremacy Clause, where every state is bound by the U.S. Constitution, usually as decided by the U.S. Supreme Court. Pennsylvania’s Constitution, Art. I; Sect. 7 addresses Free Speech. The free communication of thoughts and opinions is one of the invaluable rights of man, and every citizen may freely speak, write and print on any subject…. 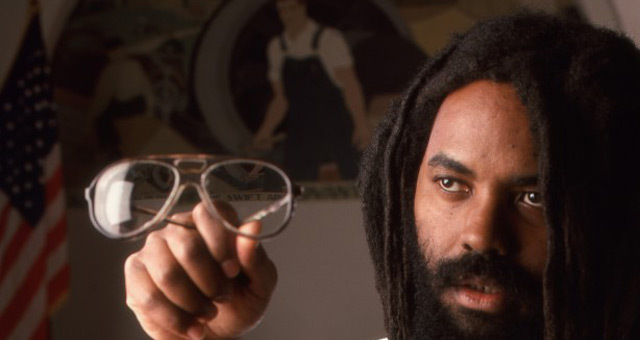 Under the Freedom of Speech clause of the First Amendment of the U.S. Constitution, the 6th Article of the U.S. Constitution, how can the state’s legislators pass, and politicians sign, the recent law described as the “Muzzle Mumia” act? Answer: They can’t – at least not constitutionally. In order to do so, they had to knowingly and willingly violate both the U.S. and PA Constitutions, and their very oaths of office. If you’ve looked down on your politicians before, this will only increase your disgust and contempt. Clearly, the political class are but whores, who sell their tongues to the highest bidder, and their oaths are as empty as dry, withered husks. They don’t really believe in their own constitution. Why, pray tell, should you?